Introducing, The Biggest UO Sale Section You’ve Ever Seen! There are certain retailers we can rely on for a superior sale section fit to burst, and Urban Outfitters is certainly one of them. Those thrifty chicks who barely bat an eye at the regular priced merch and make a steady beeline for the racks of price-slashed goodies? Yeah, they know what's up. Well, rejoice smart shoppers: A massive UO surplus store devoted solely to the trendy retailer’s discounted wares has opened in Sherman Oaks, and the penny-pinchers paradise is full of the best women, men, and home sale pieces from all around the California state. Oh, yes. We’ve got a feeling it won’t take long for this markdown mecca to gain quite the following. Check it out and report back, or we'll just see you there this weekend. 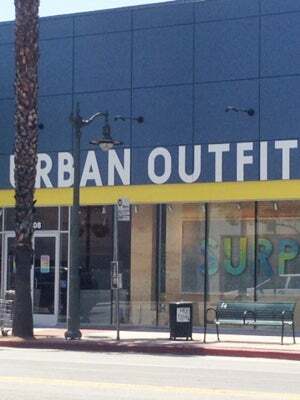 Urban Outfitters Surplus Store, 14608 Ventura Boulevard (near Vesper Avenue); 818-789-3604.